Ayrshire based Hospitality marketing company The Edge have just gone live with a new blog in conjunction with the the Tourism group of the Ayrshire Chamber of Commerce. 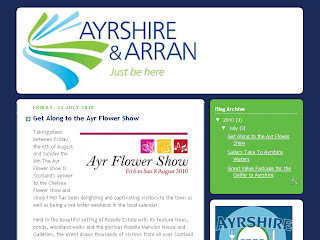 Using the recently designed brand for Ayrshire and Arran, the new Just Be Here blog is giving all the key hospitality groups involved in the chamber free access to publishing their events, news and product information directly onto the blog generating news coverage and another distribution channel for their businesses. Ian McCaig, managing director of The Edge explained, "We offered to put the simple blog in place simply because it wasn't there! We were recently asked to join the tourism group by the Ayrshire Chamber of Commerce and at the first meeting suggested that it would be worthwhile looking at giving the various groups involved an aggregated online outlet for promotional purposes. "It fits in waith the strategies we're trying to get rouism businesses across Scotland to buy into just now. Online marketing is now so much more than jsut having a website and expecting the business to come to you. It needs work and recognition that single channels of distribution are not enough; multiple routes to market must be exploited. Using Blogs alongside social media tools, e-mail marketing and recognising that off line marketing still has a place can help tourism businesses develop a much stronger and profitable online presence." 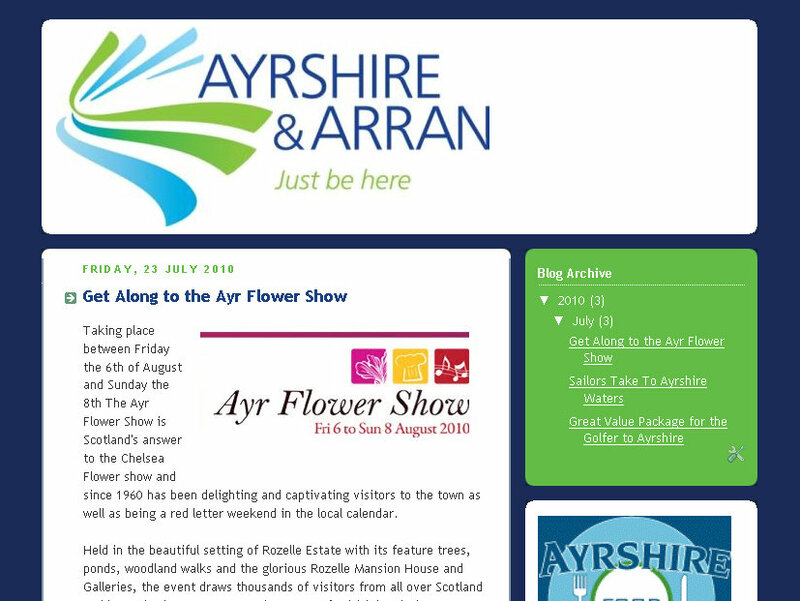 Ayrshire tourism businesses can now post their press copy or promotions direct to the Just be Here Blogger and once approved they'll go live with appropriate links back to the business website.